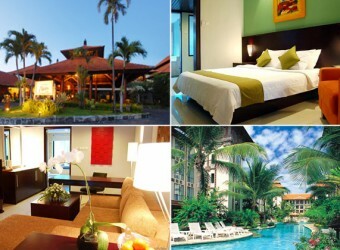 Hotel There are great institutions in the Balinese traditional low-rise building, such as restaurant, pool and spa, etc. The guest room has plenty tropical atmosphere. You can spend a perfect holiday in the gentle romantic fragrance. It's also good access to the popular Safari & Marine Park.